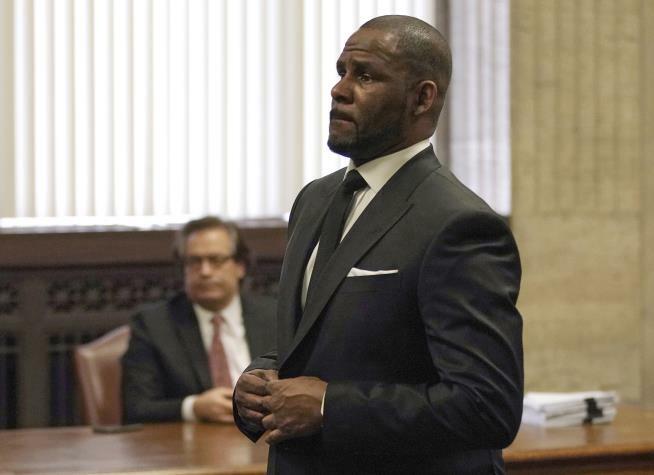 (Newser) – Fans who went to see R. Kelly at a surprise gig in Springfield, Ill., on Saturday night ended up paying roughly $3.50 per second of performance. The singer—who announced the appearance at the Dirty South lounge in an Instagram post hours earlier—sang one of his songs for 28 seconds in front of an audience that had paid a $100 entrance fee, which was reduced to $50 after Kelly arrived, WICS reports. The singer, who pleaded not guilty to 10 counts of sexual abuse in February, stayed for another 35 minutes to dance and chat with the approximately 100 fans in attendance at the 450-capacity venue. They should publish the entire list of people's names, who were actually dumb enough to pay 100.00 to listen to this P.O.S. I could probably pee for 28 seconds if I had a full pot of coffee in me.